Over the summer and autumn of this year I carried out a project looking in some detail at local health and social care services in Merthyr Tydfil and Rhymney. Today I publish a (draft) report on my activities. It offers some reflections and findings about the work I have carried out. I hope it can form the basis of some ongoing conversations about these vital local services, that local residents told me was their number one priority. 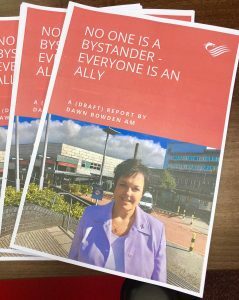 As we seek to meet the many challenges facing our health and social care services I reached an overarching conclusion, summarised in the title of the report, in that that no one can be a bystander, and everyone is an ally, if we are to sustain our health and social care services in the years to come. I know that in this constituency we have to overcome many inequities that create significant health inequalities, but we can still all play a role in improving the health of the local population. Can I thank everyone who gave of their time to me and who helped to facilitate these many activities (appendix one of the report gives a flavour of the work undertaken). This includes people who took the online survey which asked for their opinion on various aspects of health and care services. 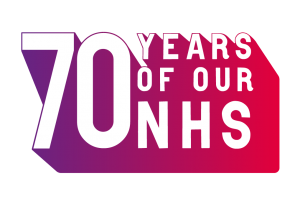 Having recently celebrated 70 years of our ‘made in Wales’ NHS it has been an invaluable experience for me to visit so many local services, to discuss the pressures on these services, to discuss recent innovations in practice and to think about the challenges which still lie ahead. It has all helped me to think about some priorities for my work in the year ahead and it adds so much extra value to my work on the National Assembly’s Health, Social Care and Sport Committee. Today I will speak about the report at the AGM of Voluntary Action Merthyr Tydfil. After that I hope to continue the conversations about these local services with many of the key organisations concerned. As a draft report I would welcome any comments or corrections of fact. These should be emailed to my Senior Adviser: [email protected] by December 14th. I will also offer up smaller articles about aspects of the report in the coming days.